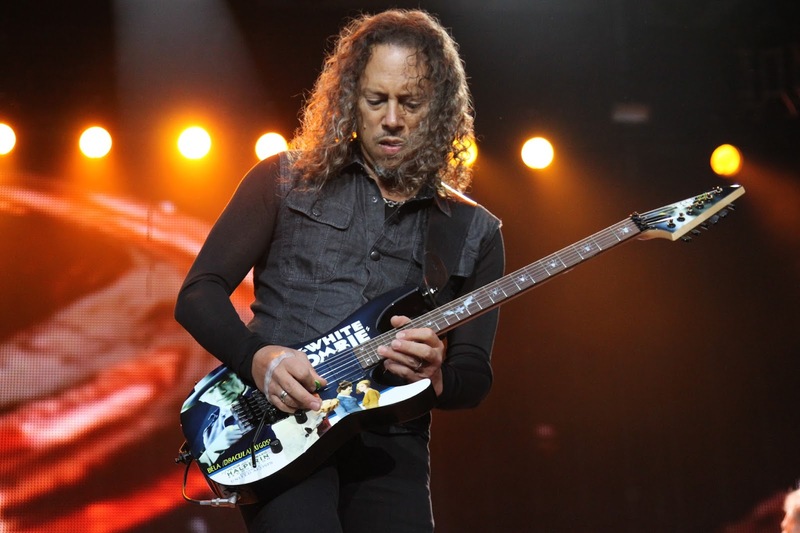 MetalRockNews: Metallica's Kirk Hammett: "Because of my family history, I always felt like an outsider"
Metallica's Kirk Hammett: "Because of my family history, I always felt like an outsider"
Metallica guitarist Kirk Hammett was recently interviewed by Collectors Weekl, you can read some excerpts below. Kirk Hammett said: "Believe it or not, I'm a totally introverted person," Hammett tells Collectors Weekly. "People see me onstage and see that I walk out in front 50,000 people not even batting an eyelash, but I'm just used to that. Because of my family history, I always felt like an outsider. I was super shy as a kid, very quiet and observant. I had trouble fitting into a lot of situations, and I felt like a monster myself. A lot of the stuff I saw the monsters experiencing on the screen, I had a version of that in my own life."